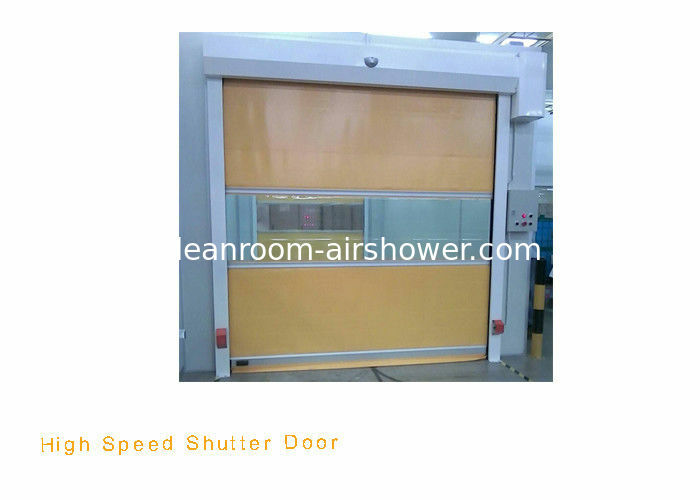 Description: High speed shutter door is designed for partition, rapid opening and closing between sections raising different environment requirements to play the role of isolating ventilation and guaranteeing rapid passing. 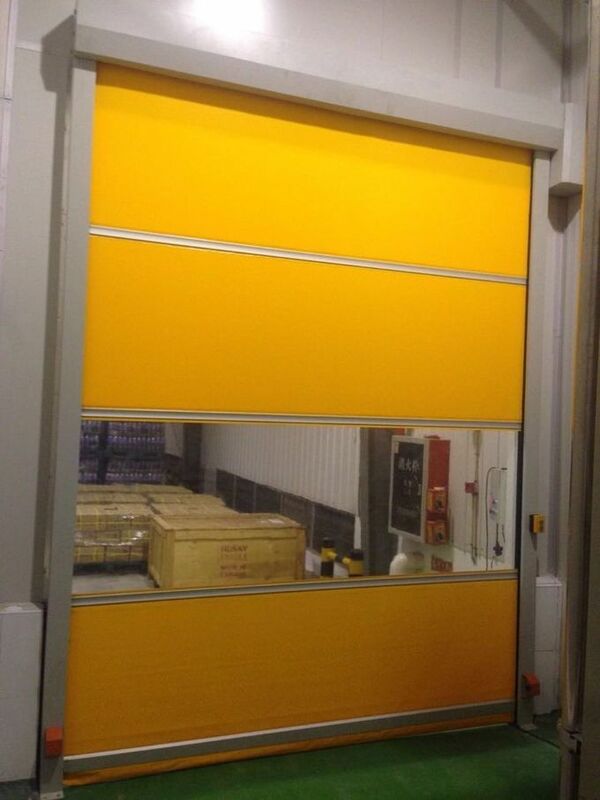 High speed shutter doors, which run faster than 0.6m/s, and it is fast open and close accessible isolating door. 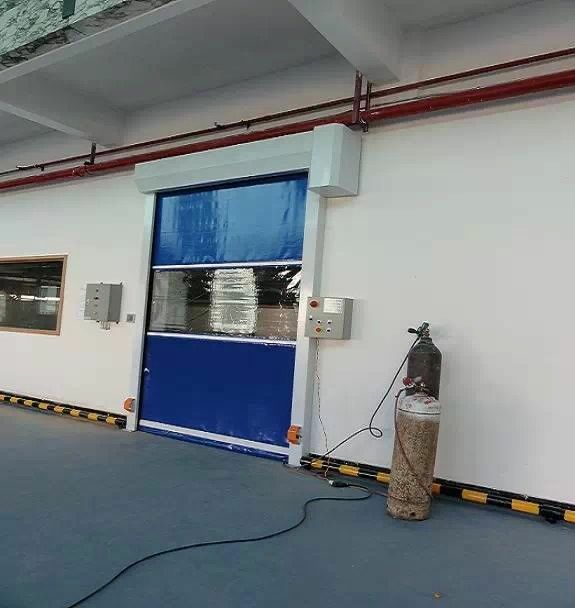 The usage is for fast isolation to ensure workshop at on high clean level.With heat, cold, insects, wind, dust, noise, fire prevention, anti-odor, lighting and many other features, and is widely used in food, chemical, textile, electronics, supermarkets, frozen, logistics, warehousing and other places, can high-performance logistics and clean place to meet, and save energy, high-speed automatic shut down, provide operational efficiency and create a better working environment and other advantages. 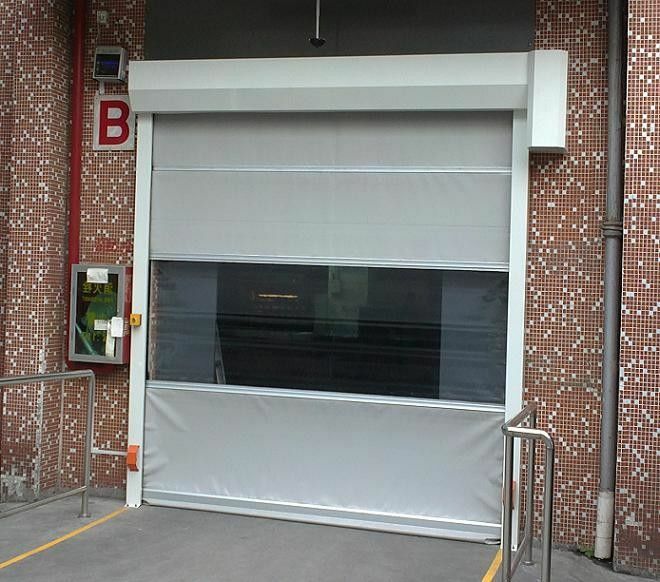 Door curtain: Adopt the French high density low yarn silk PVDF coating polyester mesh tape together with streamline polyester which is reinforced with glass fiber. 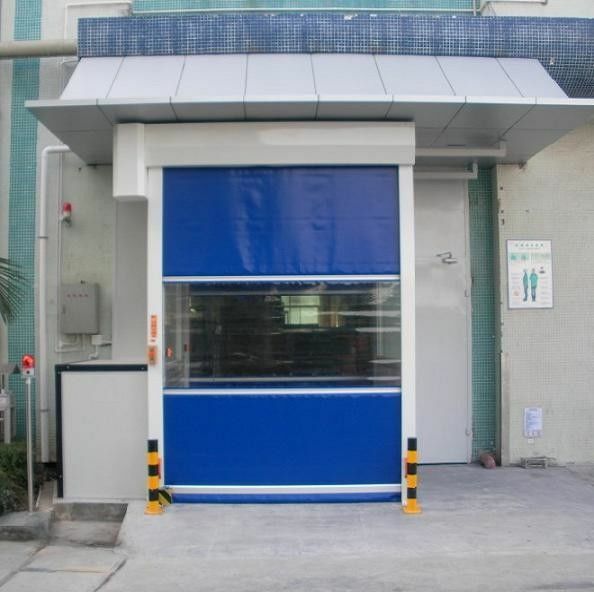 Dongguan Zhisheng Purification Technology Co., Ltd.
China Good Quality Cleanroom Air Shower Supplier. Copyright © 2016 - 2019 cleanroom-airshower.com. All Rights Reserved.